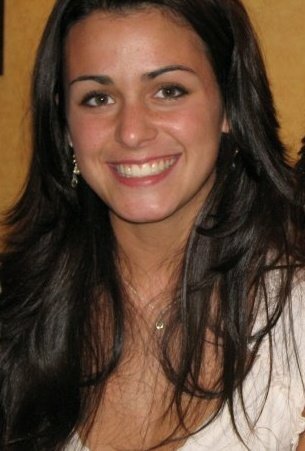 Hofstra Career Center: When it Comes to LinkedIn, Make it Personal! When it Comes to LinkedIn, Make it Personal! One significant component of LinkedIn is it's ability to help you communicate, connect and network with professionals in your industry. There is nothing more exciting than the process of building your network and increasing your LinkedIn connections (okay, maybe I'm a little more excited than most - but I am a career counselor after all!). Before you click "connect", it is important to be aware that the process of connecting on LinkedIn should not be as simple as hitting a button. To accompany your request, it is always good to send a personalized message to the person. Ideally you will want to reference something from your initial conversation or meeting. If you don't know the person, you will want to give a reason as you why you want to connect. This extra effort will go a long way and is an important first step in maintaining your professional network! 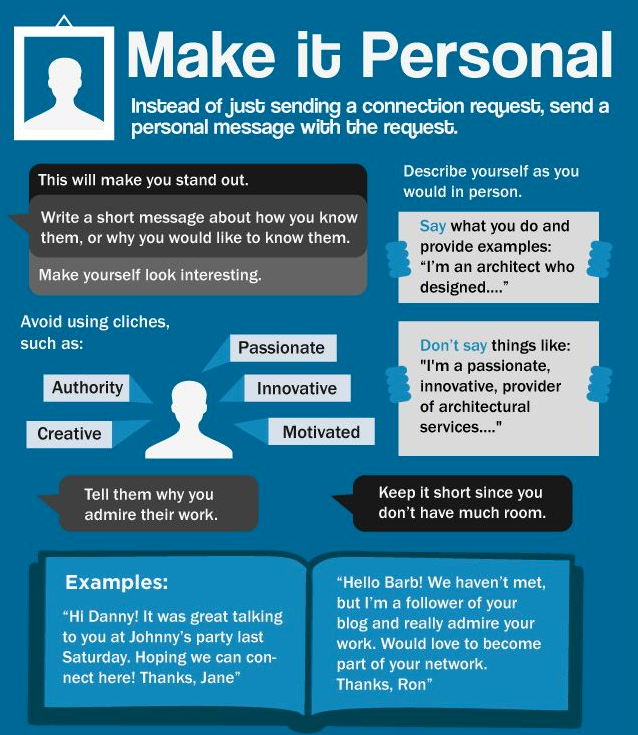 Below is an awesome graphic that I found on LinkedIn which gives a little more insight into how to send a good personalized message.